No less than Chet Atkins wrote this number, together with Boudleaux Bryant. 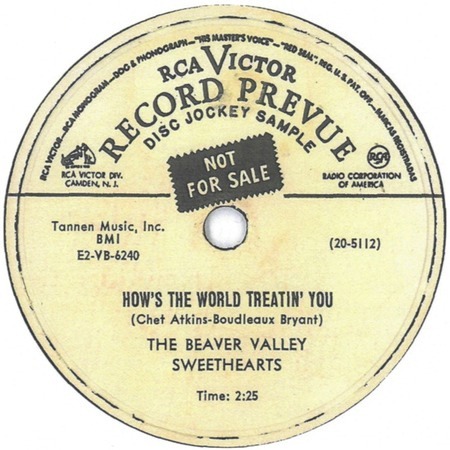 The Beaver Valley Sweethearts original was released as a single in the first week of January, 1953, on RCA 20-5112 (47-5112), coupled with "You Get What You Pay For (You Pay For What You Get)." (This release was some months before Eddy Arnold recorded his more popular version in March 1953.) The actual recording was probably made in May 1952. The Beaver Valley Sweethearts consisted of two sisters, Colleen and Donna Wilson.